We like to think that we are one of the leading companies in our industry in the area of CSR. What does this mean? Many of the products in our range fall within the EU’s REACH initiative, therefore we retest our main product fabrics annually to the current level of SVHCs (Substances of Very High Concern) and we test on a ‘snap’ basis to double check that everything is OK. We also test for AZO and Low Cadmium, plus any other relevant product test - we even test the P.U. corners on our drawstring bags. We use third party organisations (usually Intertek) to audit our factories annually. Such audits are invariably SMETA social audits, which means that we work with our factories to help them with any practical improvements and recommendations which arise. All of this compliance comes at a cost, but we believe that this is an increasingly important topic in the modern business world. If you would like to know &apos;what is in&apos; (or not in!) the product you are looking at, or are seeking assurances about where they are made, please contact us and we will forward the certificates to you. 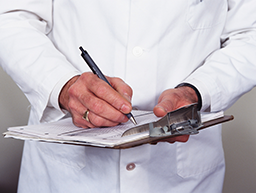 Our advice is this: always ask for evidence and documentation; without these tests, products you may be considering from a wide variety of sources, may contain all sorts of nasty chemicals. You can make an informed decision based on evidence and documentation, while being assured that, as far as our products are concerned, we have it covered. 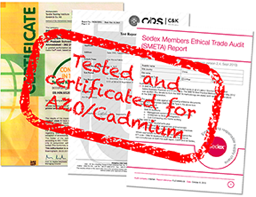 Every sample we send has a label that lists the CSR certificates relating to this product. For example polyester, PU, PVC and non-woven polypropylene (NWPP). We have reacted to the REACH regulations by thoroughly testing all of our products and, where SVHCs have been found, we have resourced our materials to be REACH compliant. Because we have our own fabric specially dyed, stored and tested, we use the same factories. For example cotton and jute. The majority of our cotton products are covered by an Okeo-Tex® Cotton Mill Certificate, which checks that the dyes used in the coloured cotton are free from harmful chemicals. Our Jute bags are also tested for a variety of issues, from AZO, Low Cadmium and Organtin content in the dyes used, to the LDPE backing used on many of the models. Not only do we test the outer fabrics of our coolers for REACH compliance, we also have an aluminium foil test to ensure any foodstuffs contained are safe from contamination. 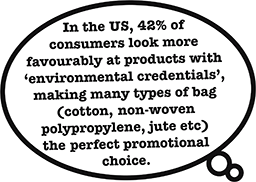 Our bags are printed in a clean, safe environment and we use inks that are also certified. Your Distributor can download these certificates and forward them to you. We re-test our fabrics and re-audit the factories every year. We have a wonderful Carbon Neutral storage, and print facility in Peniston.